RV Websites are a great source of info in today’s techno savvy world! Even only 10 years ago, it was very difficult to get good accurate info on all the different things involved with RV’ing. Today, all you need is a Smart Phone, or a computer and Wi-Fi and you literally have the world at your fingertips. Even free Wi-Fi is pretty common today! Starting in 2012, using the Internet has opened up some privacy issues that we all need to be concerned with. Some major companies are tracking all types of data, how it is used and perhaps allowing it to fall into the wrong hands. Just a concern about Identity Theft should raise "some eyebrows". In our researching of this issue, we have found a certified IP address provider that doesn't retain or use your computer "cookies" or track any of your data. As I understand it, they are the Start Page for your searching. You would use them as your home page and search engine. They "certify" that they will not allow the search engines to track your IP address or data!! Pretty neat, huh. Yes, they will use a major search engine to actually search for you, but that search engine will NOT have YOUR IP address!! Best Overall of ALL RV Websites? IRV 2 is an amazing Website dedicated to RV'ers! It’s Free to join and entitles the viewer to very few advertisements, when browsing as a member! The RV info is very well organized by type of RV, Brands, General Discussions, Toads, Coaches/5th wheels/Campers, Engines, Transmissions, Campground Ratings, Motorhome Reviews, Campground Reviews, Cooking while traveling, Boondocking, Going Green, etc. Truly informative. RV Repair Service Reviews is a easy way to be sure you want to have your RV serviced somewhere! How many times have you wished you verified a shop's reputation - BEFORE - you brought your vehicle in! RV Park Reviews is a very similar website. BEFORE you make your reservations at a park or campground, see if the reviews are OK. Be sure to read between the lines though. Sometimes people just have to complain! Anytime you can verify campground ratings, you're ahead of the curve! Free Campgrounds is just what it implies! Looking for a free or very cheap place to park? This site will help you find places you've never heard of. This type of RV Info is really handy for the working RV'er that just needs a financial break! Fuel Finder is a great source for finding the best prices of fuel or gasoline while on your trip. You can tell it where you are and where you want to end up and it will compute the miles, fuel stops and display all the prices for you. How many times have you crossed a state line, only to find it is much more expensive to get fuel in that new state? Sani-Dump - Free or Economical Waste/Water Sites is extremely helpful if you are a boondocker! Wow, how many times do you end up looking for a place to legitimately dump and fresh water fill your RV? This site is the best for this! There are always lots of RV Websites - but these are the easiest to use and very helpful. RV Net is a great source for all types of info. 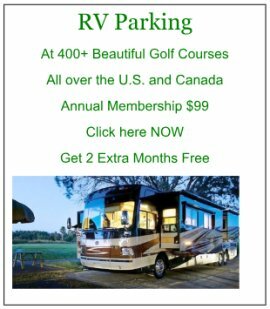 Their site is very comprehensive about all things RV.They also have a daily email blog service you can receive. Each day's blog topics will vary, of course, but always informative and worth subscribing to! RV Travel Weekly Email Newsletter is a great read! It's a free subscription to a Saturday Newsletter pertaining to everything RV. 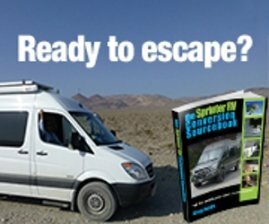 The author, Chuck Woodbury, has been publishing about the RV Industry for years. The RV Travel Newsletter is a fun and entertaining read, yet also very informative and a must read! 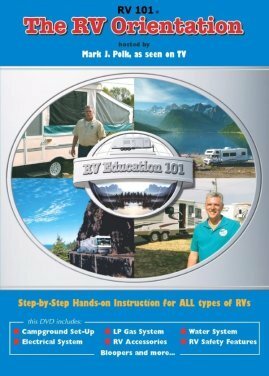 RV Consumer.com is the Ultimate RV Education Center. Whether you are brand new to the RV experience or a veteran of the traveled road, RVconsumer.com shows you, step-by-step, all the facets of RVing - from the obvious to the “I never realized that”. With a wealth of professional, in-depth, first-hand knowledge of every phase of the vast field of RVing, this site is the Ultimate RV Education Center, dedicated to providing you with the ultimate RV experience. They also provide an extensive series of wonderful eBooks and videos that can be downloaded as well. Clink on the link to your right to view and download any of their excellent books or videos! The RV Doctor is the official home of author and technical educator, Gary Bunzer, featuring select questions from his popular column, The RV Doctor. The RV Doctor Column recently celebrated 35 years of continuous monthly publication making it one of the longest running Q&A technical advice columns in the RV Industry! Obviously Gary has lots of history and a wealth of knowledge to share, he's been around long enough to really understand and help with any questions you may have! RV Daily Report is a great way to stay informed within the RV Industry. This free subscription daily report covers all spectrum's of the RV Industry from Manufacturers, Associations, Campgrounds, Consumers and even employment opportunities. RV Daily Report is very easy way to keep abreast of what's going on within all things RV related! HitchUpandGo provides you with all the links to the most popular Camping and RV websites on the internet, all in one easy to use directory. Here you will find all the recreational vehicle, camping gear, campgrounds, RV parks, maintenance and travel information you will need to make your RV experience a great one. HitchUpandGo has searched the web looking for all those excellent sites and blogs that every RV'er and Camper uses to ensure their trip is successful, thus saving you the time and hassle. After all wouldn't you rather just....... HitchUpandGo? RV News is just that. It is a service provided by Google that is always uploading RV News stories throughout the US and the World. We also post interesting stories we find on BUZZSUMO as well! Take a look at our Purchasing Used RV page for a list of different websites that are popular for Buying and Selling Used RV's. Many can be purchased through private owners by using these various websites. If you are lucky enough to be able to afford a New RV, we also have a page dedicated to that as well. My Trip Journal is a great way to share your RV adventures with your friends. It is a free service that allows you to set up your own "Home Page". It then will display your map of travels, your written journals of travels and, of course, your photographs. A truly great RV websites location. It's a great way for everyone to share in your adventures! Have A Great RV Website Review to Share? 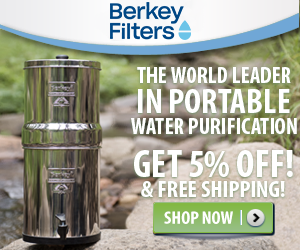 We All need that "Best" RV Website! Share it with us! Don't Be Shy!